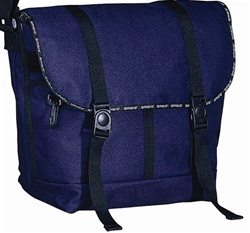 Sporty looking messenger bag with monogram webbing trim on the main flap. Main compartment has zipper closure to secure contents. Swirval press-and-release bottom webbing tab allows easy access to the main compartment. Organizer pockets on the front panel underneath the flap. 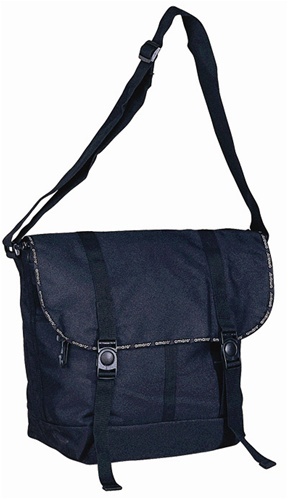 The entire bag is fully lined and inseams bounded with nylon gross-grain ribbons. 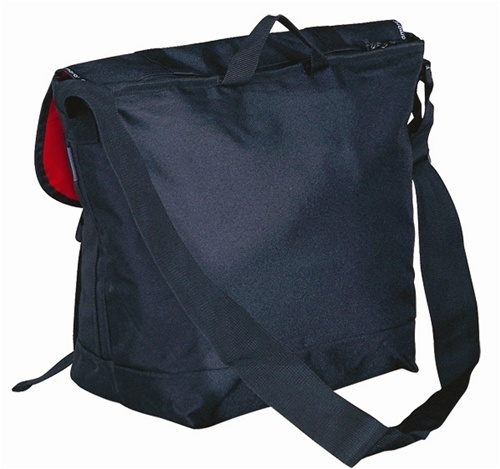 Webbing handle ontop for easy carrying.